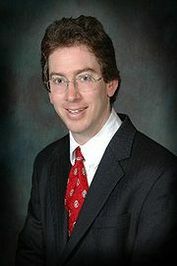 Bryan Caplan is a professor of economics at George Mason University in Fairfax, Virginia. He received his B.S. in economics from University of California, Berkeley and his Ph.D. from Princeton University. His professional work has been devoted to the philosophies of libertarianism and free-market capitalism and anarchism. (He is the author of the Anarchist Theory FAQ.) He has published in American Economic Review, Public Choice, and the Journal of Law and Economics, among others. He is a blogger at the EconLog blog along with Arnold Kling, and occasionally has been a guest blogger at Marginal Revolution with two of his colleagues at George Mason, Tyler Cowen and Alex Tabarrok. He is an adjunct scholar of the Cato Institute in Washington, D. Bryan Caplan is a professor of economics at George Mason University in Fairfax, Virginia. He received his B.S. in economics from University of California, Berkeley and his Ph.D. from Princeton University. His professional work has been devoted to the philosophies of libertarianism and free-market capitalism and anarchism. (He is the author of the Anarchist Theory FAQ.) He has published in American Economic Review, Public Choice, and the Journal of Law and Economics, among others. He is a blogger at the EconLog blog along with Arnold Kling, and occasionally has been a guest blogger at Marginal Revolution with two of his colleagues at George Mason, Tyler Cowen and Alex Tabarrok. He is an adjunct scholar of the Cato Institute in Washington, D.C. Currently, his primary research interest is public economics. He has criticized the assumptions of rational voters that form the basis of public choice theory, but generally agrees with their conclusions based on his own model of "rational irrationality." Caplan has long disputed the efficacy of popular voter models, in a series of exchanges with Donald Wittman published by the Econ Journal Watch. Caplan outlined several major objections to popular political science and the economics sub-discipline public choice. Caplan later expanded upon this theme in his book The Myth of the Rational Voter (Princeton University Press 2007), in which he responded to the arguments put forward by Wittman in his The Myth of Democratic Failure. Bryan Caplan isn't a Goodreads Author (yet), but he does have a blog, so here are some recent posts imported from his feed. Who is your favorite libertarian minded author? Is this you? Let us know. If not, help out and invite Bryan to Goodreads.